Two Gatwick Express services will soon stop at Preston Park in rush-hour, following a campaign by commuters and MP Caroline Lucas. 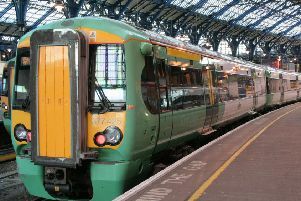 Caroline campaigned alongside the Preston Park Train Campaign for six months before GTR promised in November that slashed Gatwick Express services would return. But the Green MP worked with local commuters to push rail bosses for earlier trials. In a recent meeting GTR CEO Patrick Verwer said that, subject to the successful completion of unrelated work at Victoria station, two key peak Gatwick Express trains would stop at Preston Park, most likely from February 25. They will be the 7.14am from Preston Park to Victoria, and the 5.44pm from Victoria to Preston Park. Ms Lucas said: “Almost nine months after people’s lives were turned upside down by last year’s timetable disaster, there is finally light at the end of the tunnel.